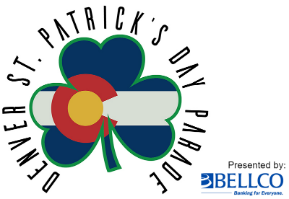 The Denver St. Patrick's Day Parade Committee is made up of over 300 volunteers that have enjoyed putting on Denver's priemier social event for over 50 years. You can get involved with the many different committees we have at any level of effort you choose. Every event, every meeting, every activity is a fun event. We get to work with business owners, city and state officials, and important members of the community and there is no better way to make new business contacts than through participation in the parade! If you are a student in marketing, public relations, graphics, communications, and then we are the place for you! We will teach you the ropes and introduce you to the people in Denver that can help you find your next job! See the parade up close! Be a part of Colorado History! You don't have to be Irish to volunteer! We will teach you that part! If you are ready to get involved click the button above to register! Attend one of our meetings and get started! Contact us any time at [email protected] for more information.